Does anyone have experience using the Windows 10 Pro 64-bit upgrade disc that comes with this desktop? I popped the included disc in, rebooted the computer, and then hit F12 to boot from the disc. The disc ran and I attempted to select the option to install Windows 10 and keep my files that are on the drive. It attempted to install but then stopped because there was a "partition missing". So instead, I then tried another option which was to wipe the entire drive clean and install Windows 10. That didn't work either because drive is locked. Here is a link to an Imgur album I created: http://imgur.com/a/JprJf - This album includes photos I took of the Windows 10 install process so you can see what I am dealing with. You are booting in Legacy and not in UEFI and you are also trying to do a Reset opposed to a clean installation. The Reset probably won't work without an existing Windows 10 installation. 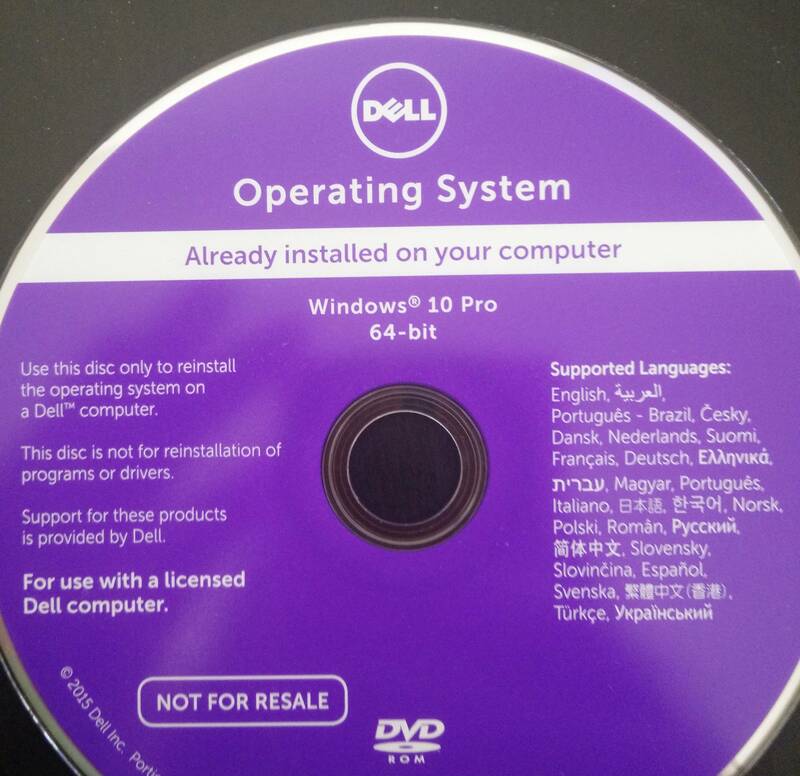 Also Dell shipped you a DVD but it doesn't say if its TH1 or TH2... The UEFI BIOS doesn't like Booting from a DVD and its much better for you to install Windows 10 from a FAT32 formatted 8 GB USB flash drive.